The official letter came, Bill accepted, and his induction took place on July 30, 2010. First there was a reception, held inside the Civic Center, followed by the actual induction ceremony that took place in front of the Buddy Holly statue. 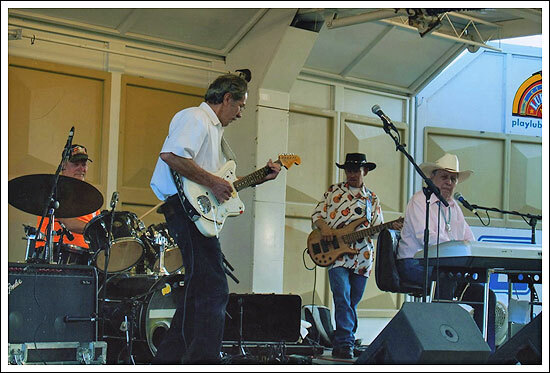 The Jack Neal Band, with special guest George Tomsco of the Fireballs, performed and completed the special day. joined on stage by George Tomsco of the Fireballs.